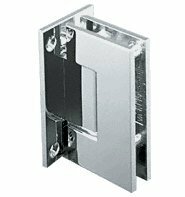 CRL Geneva Series Wall Mount Brackets are designed to work with 5/16 to 1/2 inch (8 to 12 millimeter) thick glass. Can also be used as a horizontal shelf bracket. 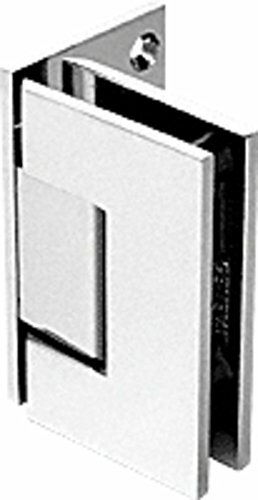 The Geneva Wall Brackets have the identical configuration as the Geneva Hinges which will provide continuity of design. 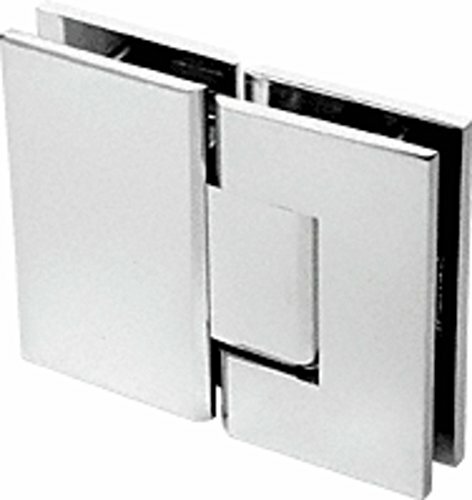 They feature square corners and edges in several decorator finishes and are constructed of solid brass. Specifications: Glass Thickness: 5/16 to 1/2 inch (8 to 12 millimeter) Tempered Safety Glass Construction: Solid Brass Holes Required: Two 3/4 inch (19 millimeter) Diameter Holes Includes: Gaskets and Mounting Screws Custom finishes are available on request by contacting CRL Technical Sales Shower Door Department by e-mail or by calling Toll Free at (800) 421-6144 extension 7740. 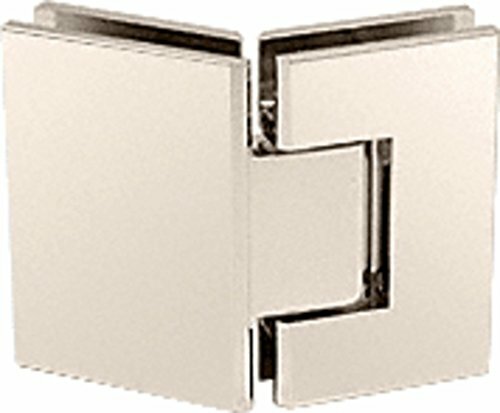 Matches Configuration of Geneva, Concord, Vienna and Cardiff Series Hinges Solid Brass For 5/16" to 1/2" (8 to 12 mm) Glass CRL Geneva Series 90 Degree Glass-to-Glass clamps are designed for 5/16 to 1/2 inch (8 to 12 millimeter) thick glass projects. 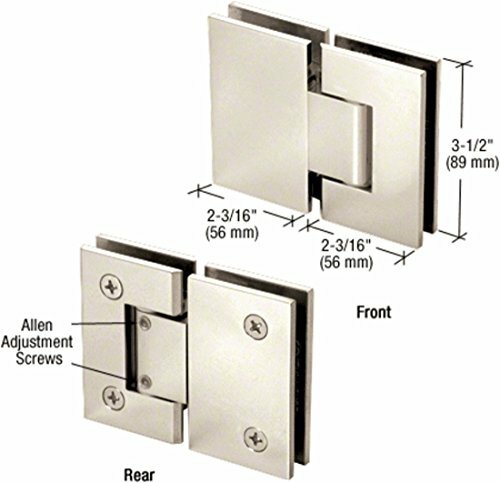 The two mounting screws per panel matches the configuration of many of our most popular hinge series. 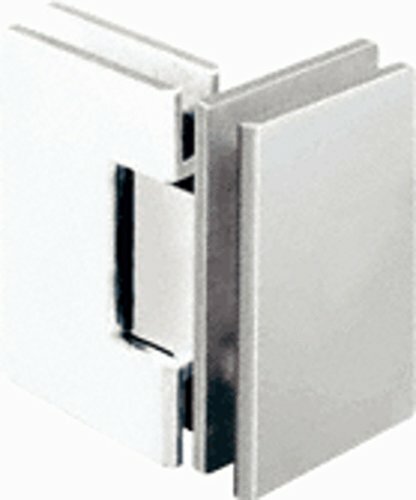 Continuity of design is maintained by matching the look of the hinges used. They feature square corners and edges in several decorator finishes and are constructed of solid brass. Specifications: Glass Thickness: 5/16 to 1/2 inch (8 to 12 millimeter) Tempered Safety Glass Construction: Solid Brass Holes Required: Two 3/4 inch (19 millimeter) Diameter Holes Includes: Gaskets Custom finishes are available on request by contacting us Shower Door Department by e-mail or by calling Toll Free at (888) 663-9830 extension 7740. C.R. LAURENCE GEN812BN CRL Brushed Nickel Geneva Series 18" Glass Shelf. These beautiful 5/16" (8 mm) thick Glass Shelves have a polished flat arrise edge, and measure 18" x 5" (457 x 127 mm). 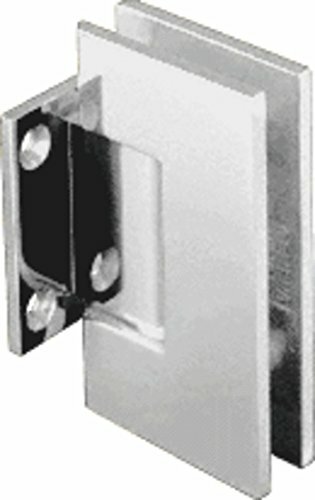 Supported by two wall-mounted brackets with concealed fasteners. Includes a decorative retaining bar that pivots up for easy cleaning as well as keeping small items from slipping off the shelf. Available in two distinctive hardware styles, Geneva and Pinnacle. 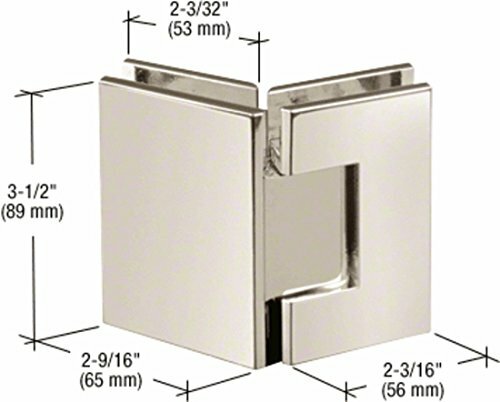 For matching Glass Hinge Hardware see the CRL Frameless Shower Door Hardware Catalog..
C.R. 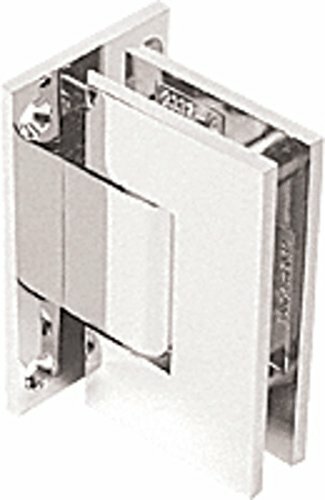 LAURENCE GEN280PN CRL Polished Nickel Geneva 280 Series 180 Degree Pony Wall Mount Hinge. These CRL Geneva Pony Wall Mount Series hinges can be used in place of the standard wall-to-glass hinges normally utilized when using wall mount hinges on a pony wall, and glass-to-glass hinges above them. 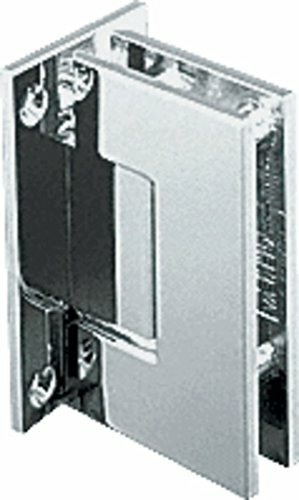 The GEN280 model is for use with 180 applications, while the GEN245 is for use with 135 applications. Previously in this application the tile or marble had to be cut to allow the wall mount hinge to be recessed. 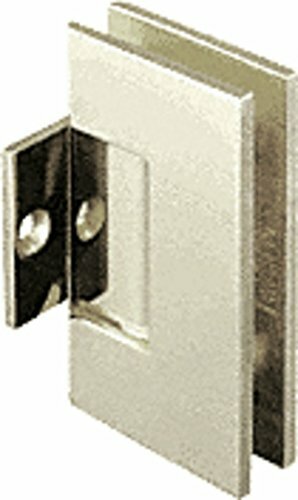 That adjustment aligned the pivot points between both hinges to allow proper installation. 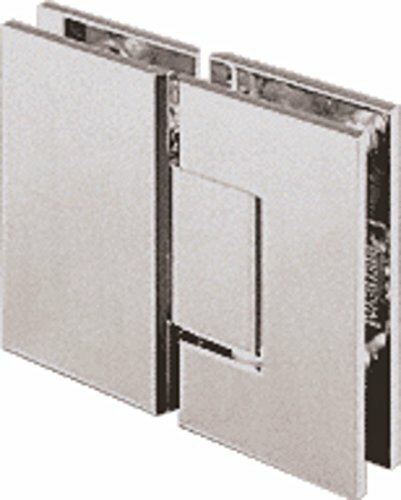 Geneva Pony Wall Mount Hinges are modified with a shortened center block (containing only one centering spring) and a small back plate (with only two mounting holes). 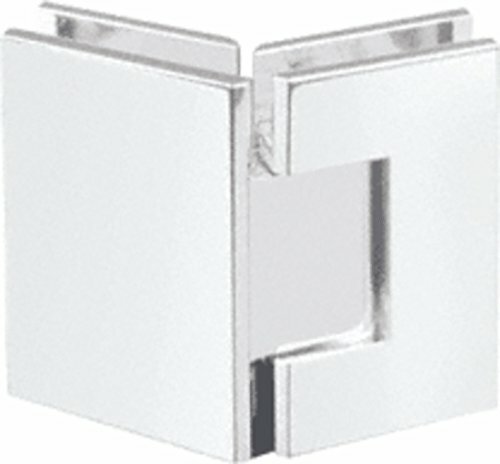 Each hinge has the same Reversible 5 Pivot Pin as our standard Geneva Hinge..